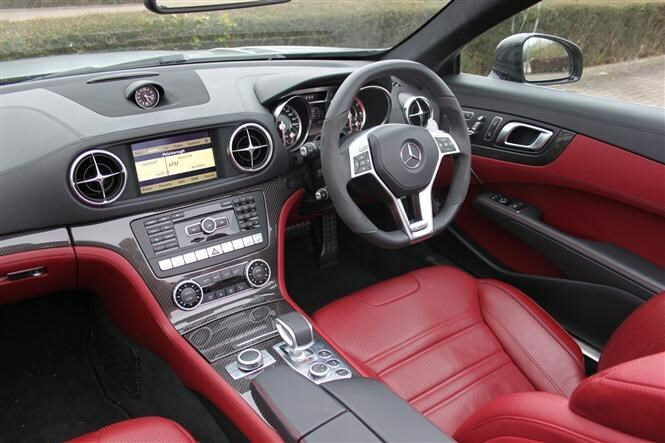 If a 5.5-litre V8 SL with 556bhp sounds a little too dull, then don’t fret because the Mercedes-Benz SL 65 AMG roadster, with a 6.0-litre V12 producing 630bhp should do the trick. 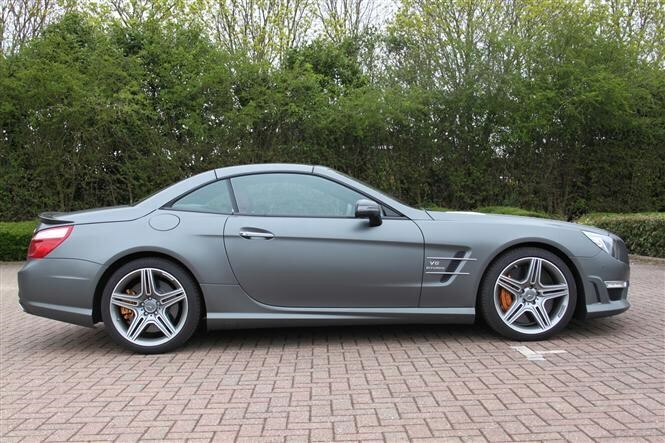 The car, which follows on from the SL 63 AMG and the standard SL model, has benefited from some serious weight reduction. A substantial 170kg has been cut from the car, helping to improve performance and efficiency. If you’re looking at buying a car like this then running costs won’t be high on the priority list, but they have been improved compared to its predecessor. Aided by the addition of a seven-speed automatic gearbox and stop/start, fuel economy has risen to a claimed 24.4mpg, up from 20mpg. Emissions have dropped from 333g/km down to 270g/km, though this does mean you’ll still pay £1,000 in first-year tax and £460 per year thereafter. This latest version gets the new ‘brand face’, according to Mercedes. The main focus of this is the twin-blade radiator grille along with LED light surrounds, chrome bonnet fins and two strips down the side of each wing. It also comes with AMG sports suspension, speed-sensitive steering, a three-stage stability control system and a limited slip-diff. 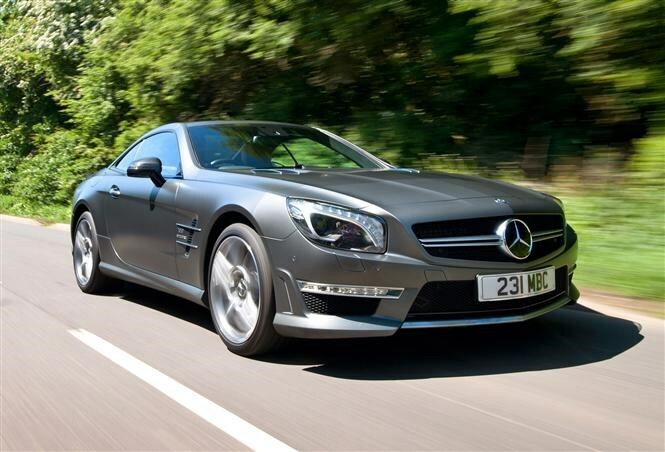 The basic SL 63 AMG starts from £110,000, while the slightly quicker SL 65 AMG costs from just over £168,285. 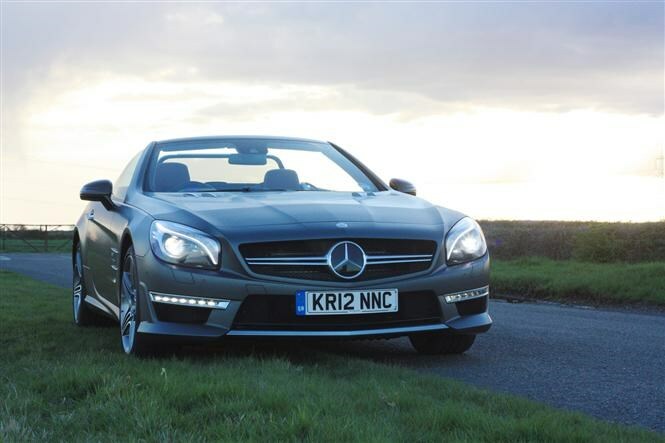 Look out for the Parkers full Mercedes-Benz SL-Class review coming soon.